You can read reams of debate online about exactly what Sartre meant when he wrote “Hell is other people”. My own frequent use of the phrase is altogether less ambiguous. Specifically, hell is a hot weekend spent in a crowded London at the start of the peak tourist season. The one potentially redeeming feature was a chance to visit the club that e-mails every week, teasing me with offers of child-friendly entertainment while their parents enjoy a delicious Sunday lunch. Naturally last week’s e-mail merely advised that the club is shut on Sundays until mid-September. So the best part of last weekend for me was undoubtedly the car crunching onto the gravel as we arrived home. Only a timely reflection on what our dogs might have done there held me back from kissing the ground in the style of the late Pope. The highlights for the children included frolicking in the fountains in Granary Square at the regenerated King’s Cross, and in a sandpit in St James’s Park. Making it rather like a day out at Druridge Bay, but at 1,000 times the price. 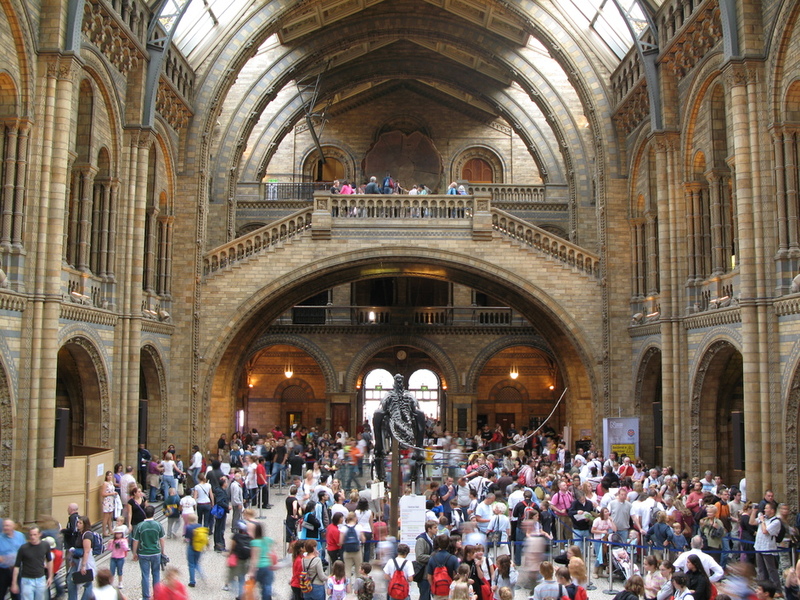 Inevitably we also went to see the dinosaurs in the Natural History Museum, along with hordes of visitors from every Continent, with the probable exception of Antarctica. As we queued to get in an enthusiastic staff member proudly announced that 50 million people have entered the museum for nothing since admission charges were abolished in 2001. Leading me to wonder why it doesn’t reintroduce a £10 charge immediately. 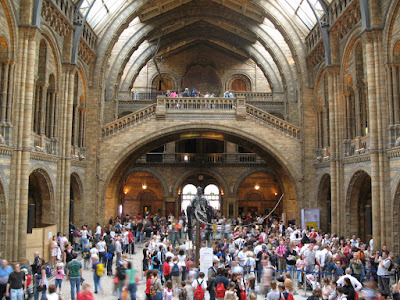 Even if this led to a 50% slump in visitor numbers, it should still raise £250 million over the next 14 years, as well as making it possible to move and see the exhibits. I would generate further substantial revenues by completely banning photography, creating a massive increase in demand for postcards of the star attractions. Perhaps a natural history expert could explain to me when and why human beings lost the ability simply to look at things, and came to believe that something is not really happening unless you take a photograph or video of it, ideally with yourself centre stage. The invention of the ludicrous “selfie stick” is the perfect symbol of this evolutionary cul de sac. When not shuffling around in crowds that seemed far more bored than enthralled, we ate our meals in a hotel full of American tourists. Families who had seemingly stepped out of the 1950s, with their perfectly dressed and perfectly behaved children. All perfectly appalled at the table manners of my own little brood. Who are, to be fair, no worse than the English average. I wondered whether US Christian fundamentalism might have some bearing on their superior behaviour, but my wife felt that it could only be down to regular physical chastisement behind closed doors. Knowledge that Daddy probably has a handgun at his disposal if he is pushed too far may also exert a beneficial influence. In our house, it is my sons who regularly threaten to shoot me or, memorably, to smash me to pieces with a hammer. 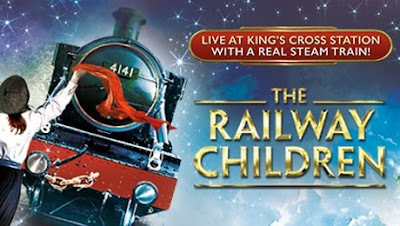 We took them to see a production of “The Railway Children” at King’s Cross which was, contrary to my expectations, very well done indeed. Despite variously sleeping or squirming throughout the performance, both boys described it as the highlight of their trip. Better even then fighting through the dead-eyed crowds in Hamleys on Sunday afternoon. 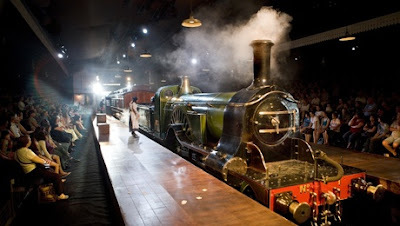 The star attraction of the show is a real LSWR steam locomotive, propelled onto the set ingeniously enough to convince those who know nothing about railways that it is arriving under its own power. When we asked our sons to name their favourite part of the show, we confidently expected this engine to be the answer. But both surprised us. You may recall that the family in Edith Nesbit’s story end up living in reduced circumstances by a railway line in Yorkshire because their father has been wrongly convicted of spying. His release provides the requisite happy ending and the usually unsentimental Charlie, 6, duly announced that the best bit was “When their Daddy came back”.